Add all ingredients except ice to a blender and blend together. Add the ice and blend again. Pour into a bowl and decorate as desired. 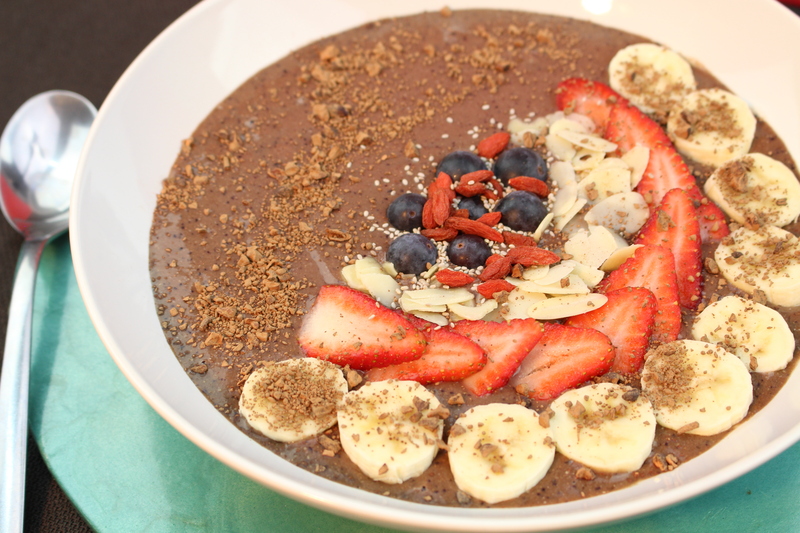 We’ve used fruit, goji berries, almond seeds, chia seeds and cacao nibs.